Note: Scale weight as appropriate. Substitutions for ring dips include push-ups. 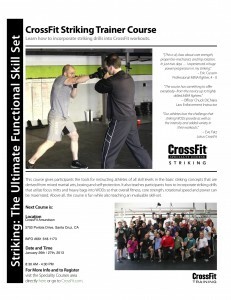 CrossFit Striking Course – Coming to CrossFit Amundson January 26 & 27, 2013! 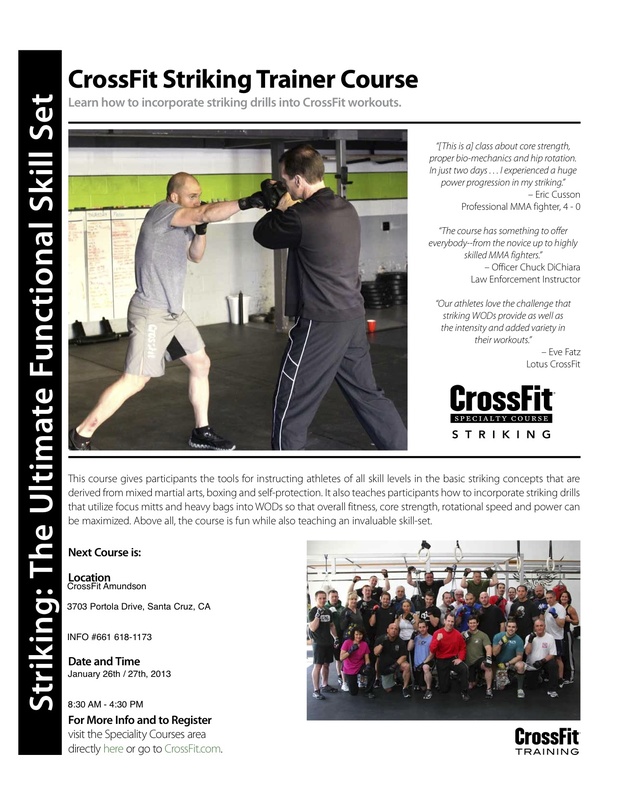 The CrossFit Striking Course gives participants the tools for instructing athletes of all skill levels in the basic striking concepts that are derived from mixed martial arts, boxing and self-protection. It also teaches participants how to incorporate striking drills that utilize focus mitts and heavy bags into WODs so that overall fitness, core strength, rotational speed and power can be maximized. Above all, the course is fun while also teaching an invaluable skill-set. Space is limited and we anticipate this course quickly selling out. To register click HERE. Greg Amundson’s new book Your Wife Is NOT Your Sister is now available at NAVYSEALS.com.